The current treatment for patients with hypothyroidism is levothyroxine (L-T4) along with normalization of serum thyroid- stimulating hormone (TSH). However, normalization of serum TSH with L-T4 monotherapy results in relatively low serum 3,5,3′-triiodothyronine (T3) and high serum thyroxine/T3 (T4/T3) ratio. 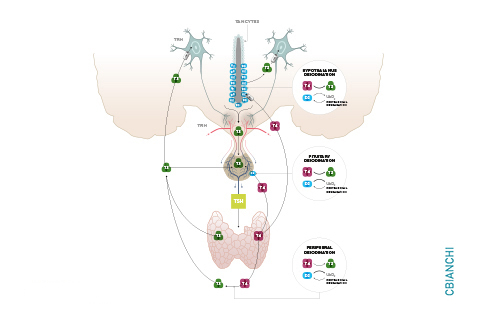 In the hypothalamus-pituitary dyad as well as the rest of the brain, the majority of T3 present is generated locally by T4 deiodination via the type 2 deiodinase (D2); this pathway is self-limited by ubiquitination of D2 by the ubiquitin ligase WSB-1. Here, we determined that tissue-specific differences in D2 ubiquitination account for the high T4/T3 serum ratio in adult thyroidectomized (Tx) rats chronically implanted with subcutaneous L-T4 pellets. 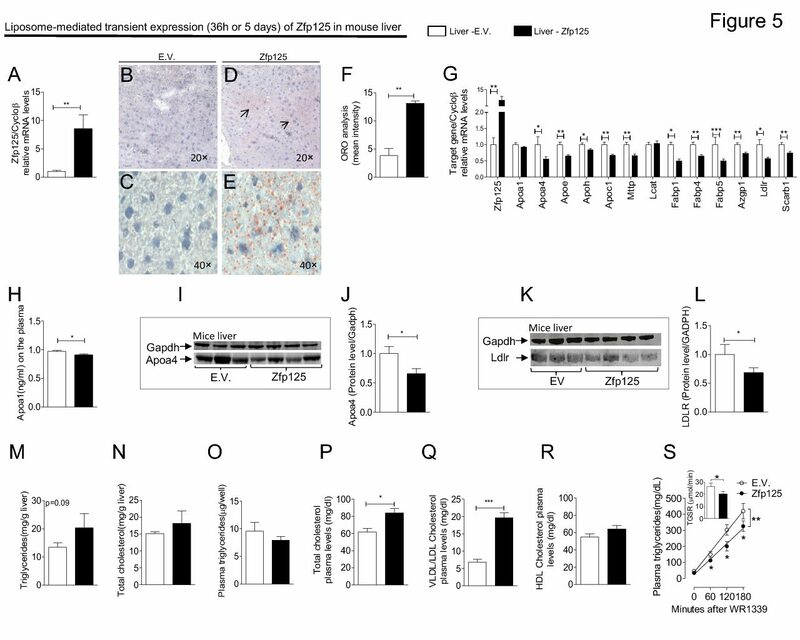 While L-T4 administration decreased whole-body D2-dependent T4 conversion to T3, D2 activity in the hypothalamus was only minimally affected by L-T4. In vivo studies in mice harboring an astrocyte-specific Wsb1 deletion as well as in vitro analysis of D2 ubiquitination driven by different tissue extracts indicated that D2 ubiquitination in the hypothalamus is relatively less. As a result, in contrast to other D2-expressing tissues, the hypothalamus is wired to have increased sensitivity to T4. These studies reveal that tissue-specific differences in D2 ubiquitination are an inherent property of the TRH/TSH feedback mechanism and indicate that only constant delivery of L-T4 and L-T3 fully normalizes T3-dependent metabolic markers and gene expression profiles in Tx rats. Differences in hypothalamic type 2 deiodinase ubiquitination explains localized sensitivity to T4. Joao Pedro Werneck de Castro, Tatiana L. Fonseca, Cintia B. Ueta, Elizabeth A. McAninch, Sherine Abdalla, Gabor Wittmann, Ronald M. Lechan, Balazs Gereben, and Antonio C. Bianco The Journal of Clinical Investigation. January 5, 2015. PMID: 25555216.